As Tehran unveiled its newest weapon, it also shared rare footage of a secretive underground complex where Iranian missiles are being built. It has vowed to carry on with its missile program, despite objections from the West. 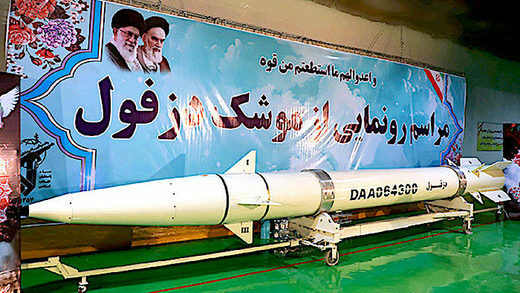 Iran’s new missile was showcased on Thursday, with top military officials unveiling the weapon and, in an unprecedented move, showing the subterranean factory. The location of the facility was not disclosed, for obvious reasons. The facility was described by the Iranian media as an “underground city” – and its scale appears to be quite impressive. Footage from the scene shows vast corridors, full of various missile parts, including warheads, all at different stages of assembly. The videos also showed workers at the plant fulfilling tasks, from merely spinning nuts to fine-tuning some tiny electronic devices, thought to be parts of the missiles’ guidance system.